More lumber was delivered this morning. Preparations for framing has begun. The awning over the door was removed and the trim on the east corner was removed. This train is moving down the tracks. We discussed the location of the washer/dryer with Mr. Contractor today. It’s currently in the garage and we want to move it to the house. We had thought we were going to hijack a closet inside and put stacked units in there. 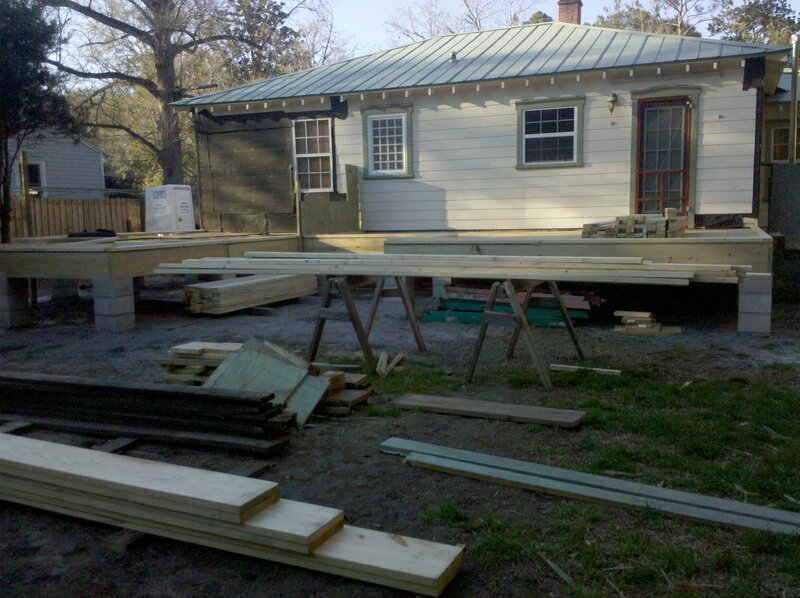 But on further discussion we will have a “closet” built on the porch that will house the units. Can’t wait to see what gets done tomorrow! Previous Article Porch Floor In! Next Article Framing Has Begun!